After hours of baby cuddling and soothing to make the little one sleep, you finally decide to gently put her to bed. But the newborn cries once put down and you don’t know why. Few parents would understand that crying is normal for babies. This leaves mothers wondering what they could be doing wrong. But the truth is that crying is the only way babies can communicate with the caregivers. It is not meant to freak you out. So, what could baby be telling you by crying? Plenty! Why My Newborn Cries When Put Down? It’s common for babies to cry when they feel hungry. They have small stomachs which cannot hold too much. Therefore you need to feed them more frequently. In most cases, feeding the baby helps him to stop crying and sleep. Discomfort from soiled nappy can be irritating. Another issue may be a tightly fitting outfit. If the baby cries out, try to confirm if they are wet and change if necessary. Consider the temperature while covering the baby. Babies are not like adults; for them to achieve moderate temperature they would need extra clothing. For proper temperature maintenance, confirm the baby is well covered when laying them in bed. If the baby’s stomach is hot, reduce the blankets. Little ones need holding because this makes them feel safe and loved. Having fed him and changed the nappy, if your newborn cries when put down, hold her in your arms a little longer. In the first weeks and months after birth, a baby needs more cuddling. Your baby might cry when the environment changes; for example, a noisy place. The cry may signal that the baby is upset by the noise. Try changing to a calm place to calm the baby and help her sleep. 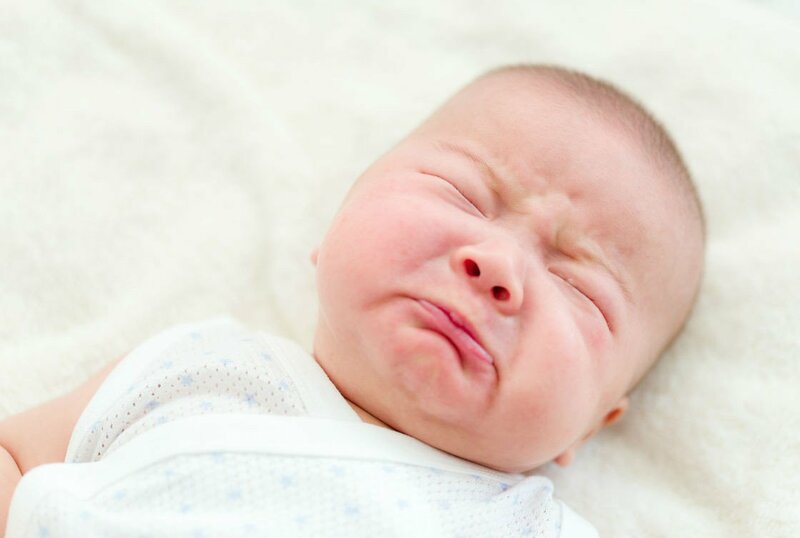 Colic makes baby cry frequently and for long periods of time in a day. Although colic is not a serious problem, it might be the reason causing him to cry when put down. Mothers who have colic babies experience distress and discomfort, but it usually passes by the time baby is three months old. Tried all these and nothing has changed? The baby might be unwell. When unwell, baby will probably cry differently compared to other times. In case baby has fever or shows signs of illness, contact a pediatrician immediately. There are several actions you can take to make your baby stop crying. Although these ideas may not always work, it’s good to give them a try and see what works for your baby. If the newborn cries when put down, sway her. This swaying strengthens the bond between the two of you. It also gives you time to rest. Amazon has excellent quality baby gliders for your young one. You can also try moving around with your baby in a carrier. You can get good carriers from Amazon. Also, riding in a car is soothing to the baby and can help him sleep. Babies love sucking on, either their thumbs or dummies because it helps them relax. Additionally, sucking on something steadies baby’s heart rate, gives stomach relief and provides overall calm for the baby. Massaging your baby, especially through rubbing the stomach and back, has a relaxing effect. If your baby has gas troubles, hold her upright against your shoulder. To reduce colic, massage the stomach to calm the pain. It’s natural for babies to enjoy music. Therefore if your newborn cries when put down, try singing. Mother’s gentle singing voice has a calming effect in addition to the warmth of her arms. Additionally, the songs have the ability to make bedtime moments an amazing time for your baby. Music drives the baby into a drowsy mood which leads to sleep. This simply means properly covering the baby with an adjustable cloth so that she feels secure. While swaddling, ensure that the clothes don’t cover up to the neck and the head. Swaddling should, however, not exceed one month as it can hinder development of muscles. Yeah, you read that right! Some babies get comfort from white noises like those produced by a running fan, hoover, hair drier and CD drives. The reason why this works out is because babies were used to background noise back in the womb.